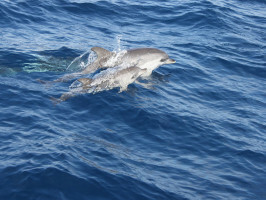 Experience the wild world of dolphins. 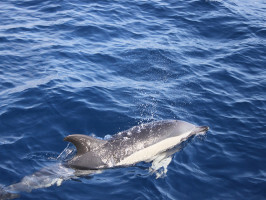 Come and join us to discover the amazing island of Lobos on this exciting half day excursion aboard the super-fast boat Biosfera Jet, as we glide through the blue Atlantic in search of dolphins. 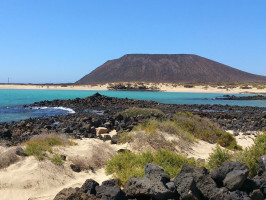 In Lobos Island we will have free time to discover this small but beautiful island. 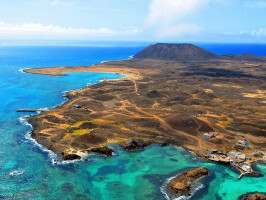 Discover near the small fishing village the natural pools surrounded by reefs, you can take a walk to a lonely beach in one of its coves or enter into the volcanic landscape until you reach the small lighthouse on the north face of the island. A must do! 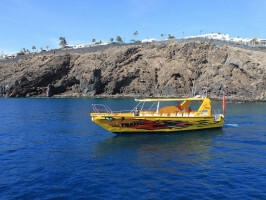 Approximate pick up times in Puerto del Carmen at 9:30am, in Puerto Calero at 9:20am, in Costa Teguise at 8:30am, in Arrecife at 9:10am and in Playa Blanca at 8:30am. Please contact reservation department up to 24 hours before the tour to confirm exact pick up time from your hotel. Wear comfortable shoes, bathing suit, light clothing, towel, biodegradable sunscreen, sunglasses, change of clothing, sandals, and water shoes. Pick-up location: Please note that a fax providing the tour details is sent to your hotel 24 hours in advance and it is your responsibility to collect this information. In the eventuality that you do not receive it, please call the emergency telephone number +34 97121 16 01(Languages spoken: Spanish, English). Please be advised that the vehicle can wait for no longer than 5 minutes, so that delays are not caused to guests at other pick up locations. 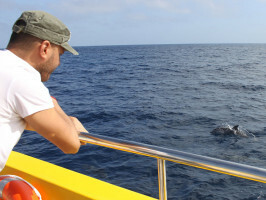 Duration: 4 hours and half.